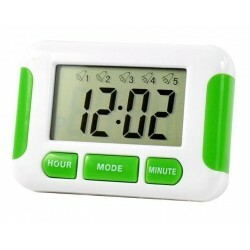 A pocket size digital alarm clock with 5 separate built in alarms plus a countdown timer. Ideal if you need to be reminded at a certain times throughout the day. Alarm: 5 x separate multiple alarms(1 x minute). 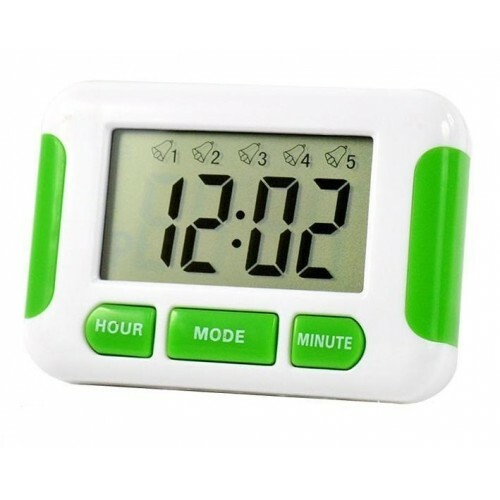 Clock Function: 12 or 24 hours. Support: Hinged stand, hook or rear magnet.